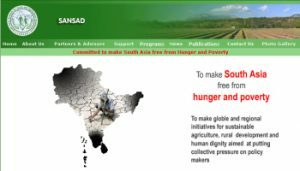 The Right Click Project team came on board when despite publishing its web address on its publications, SANSAD had lost access to its web address, making itself vulnerable to a virtual take over by advertisers tracking the web for popular expired domains. The Right Click Project now provides full website-support, email server and the provision for having regular updates of publications on the website. Guru Harkrishan Public School, Karol Bagh is one of the constituent schools of the Guru Harkrishan Public School Society based in New Delhi. The school, led by a visionary Principal, had a vision of creating an ICT-based dynamic website so that information could be regularly posted on it by training some of the teachers to do so. The Right Click Project enabled the School with such a dynamic and interactive website and also facilitating workshops for the teachers. 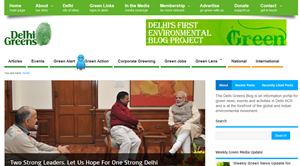 The Delhi Greens Blog is the flagship project of Delhi Greens NGO and has been set up with the objective of generating environmental awareness among citizens. The DGB is at the forefront of the national and global environmental movement and therefore required a state-of-the-art ICT management adequately provided by the Right Click Project. The DGB was conferred the Best Indian Blog in the Environment category in 2013 by IndiBlogger! BASIC (Be Aware, Support, Care & Inform) is an answer to a quest of a group of friends which resulted from daily and casual discussions on various issues and problems that plague our society. Awakened to the need of people around us, we felt an impending need to do whatever we can to be agents of change. 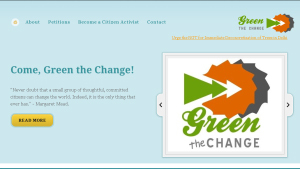 Green the Change is as an online, email petitioning platform and is a one stop website for making and promoting all petitions relating to environmental protection and biodiversity conservation. The degradation of our environment and biodiversity calls for a green change approach as opposed to business as usual. We believe that a different world cannot be created by indifferent people.